Protection: The speaker is protected against damage from over-excursion and power overload. Dedicated filtering: The fixed cross-over settings cater for the best system performance. Optimised power response: The SDP module adjusts the RMS and peak values to the speakers capacity, giving maximum system power output. System equalising: This circuit equalises the system response, with utilising the maximum component efficiency. This results in higher overall system sensitivity and reduces the need for active filtering while offering efficient amplifier usage (passive system). The ALC6 is a combination of a speaker controller and power amplifier. The ALC units are designed to guarantee the best speaker drive, with maximum sound quality and operating reliability. The controller section consist of several stages; On the input stage the SDP circuit and on the output stage the SIS circuit ensure easy, reliable and optimised speaker response. The SDP circuit can be seen as the brain of the amplifier. By means of speaker-specific modules, that are located in 2 front-accessible slots, the characteristics of the connected speaker are loaded into the amplifier. With this, the amplifier is tailor-made to the speaker, regardless of the power output specifications of the amplifier. This can be done with either the analogue SDP modules, or the DDP Digital Drive Processor. The DDP also offers level control, mute and a user-controllable 4-band parametric equaliser and (up to) 340ms delay. By placing the modules in the slots, the SDP circuit is automatically activated, without the need for changing switches/jumpers (plug&play). Taking out the modules, bypasses the SDP circuit and converts the ALC into a standard stereo power ampli- fier, for use with traditional speaker systems. The SIS circuit extends the control-loop of the amplifier to the input terminals of the speaker, by means of two additional (sense) wires, compensating for the influence of speaker Cables. SIS offers cable-length independent damping, resulting in a virtually infinite damping under all conditions (up to an almost immeasurable value of over 10.000). Furthermore SIS maintains signal level by detecting the amount of signal loss at the end of the cable. As a result of pre-compensation of the self-induction of the cable, non-linear harmonic + intermodulation distortion are reduced substantially by SIS, while offering a more linear frequency response (reduced linear distortion). SIS offers a significantly tighter and more accurate low and mid response. Without connection of the 2 extra sense wires, the ALC units can also be used as any normal amplifier in combination with non- SIS speaker systems. ATCM has a number of sensors within the ampli- fier, that constantly monitor both operating temperature, in and output signal. For the temperature section of ATCM, the input signal stage is regulated when dangerous temperature increase is sensed; In this way, the amplifier stays in operation, instead of switching into heat protection. The clip limiter section reduces the signal input level to the safest maximum level, when continuous clipping is detected. In this way the high frequency drivers are protected against damage from harmonics and also the amplifier remains cooler. The clip limiter reduces Overdrive peaks, allowing a higher average output level without audible distortion. ATCM offers ease-of-operation and guarantees operation under all conditions. The Data port located on the back of the unit, is the connection for ALC remote-control function. Through the 15-pin D-connection to remote processor, function includes indication of operating status; Temperature per channel, bridge/parallel mode, AC power level, output power read-out, impedance check for speaker damage, clip/protect indication, level control, etc. For cinema application, the Data-port is completely compatible with existing D-pin connected cinema Monitors. In that application, the signal in/out connection also caters for reduced set-up and installation time and standardised in/output levels. All relevant switches (bridge and parallel input) are conveniently located on the front behind the cover. When switching to bridge-mode, there is no need for using different SDP modules. Furthermore, in bridge-mode, the amp is controlled by only one channel. The parallel-mode input switch; With this switch, the input of channel 1 is also send to input channel 2. Therefore there is no need for external loop wires (Y-Cables) from link output 1 into input 2. The ALC features PowerCon AC power connection, for quick and efficient exchange of rack mounted ALCs. The ALC6 is also available in stealth version; The ALC6st has potentiometers that are located behind the front lid, preventing unwanted changing of gain-settings. 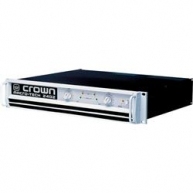 Find used audio amps and amplifiers by top manufacturers such as Lab Gruppen, Crown, Crest, Powersoft and more. All products come with warranties and are tested before shipping to you. 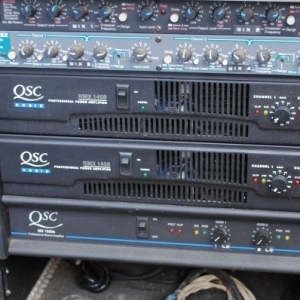 Solaris sells and buys secondhand and used amplifiers for installations, concerts, churches, events and all types of entertainment production. If you do not find what you are looking for give us a call and we will quickly find it for you. 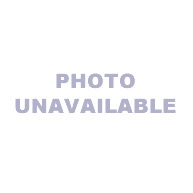 ALC-6 Amp - ALC-6 Amp in good condition; previously used in rentals.